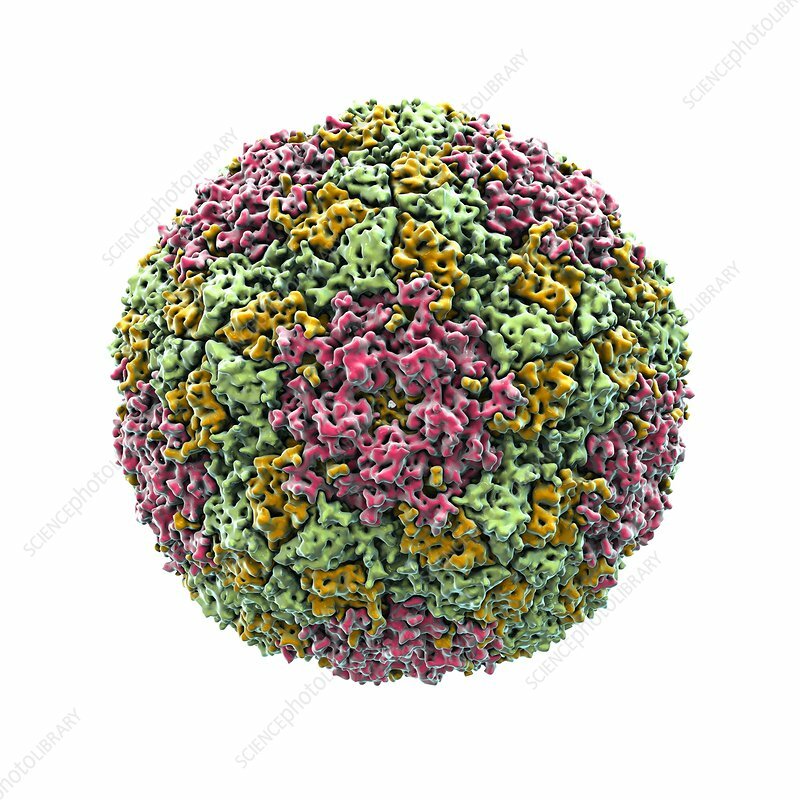 Foot and mouth disease virus (FMDV) particle, computer artwork. FMDV particles (virions) consist of a symmetrical outer protein coat (capsid), encasing RNA (ribonucleic acid), the genetic material of the virus. FDMV affects cloven-hooved mammals, commonly cattle and pigs, and is highly contagious. An outbreak of foot and mouth disease in the UK in 2001 caused the loss of over half a million cattle and three million sheep.